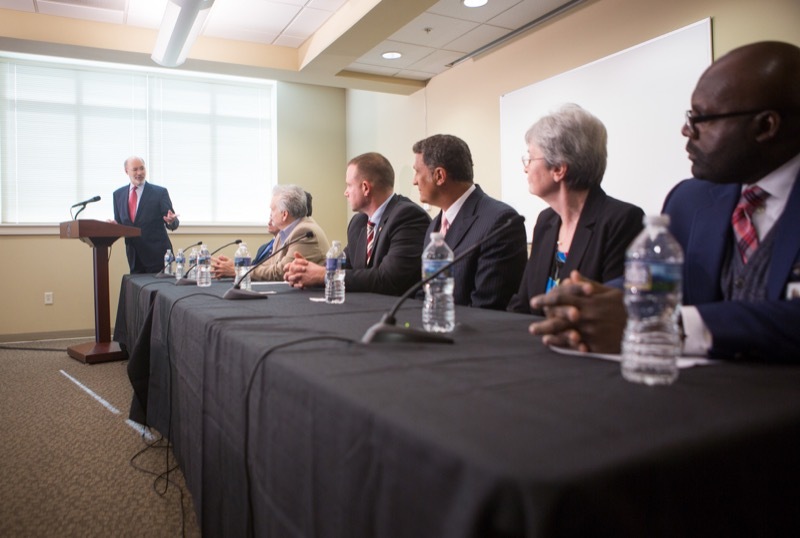 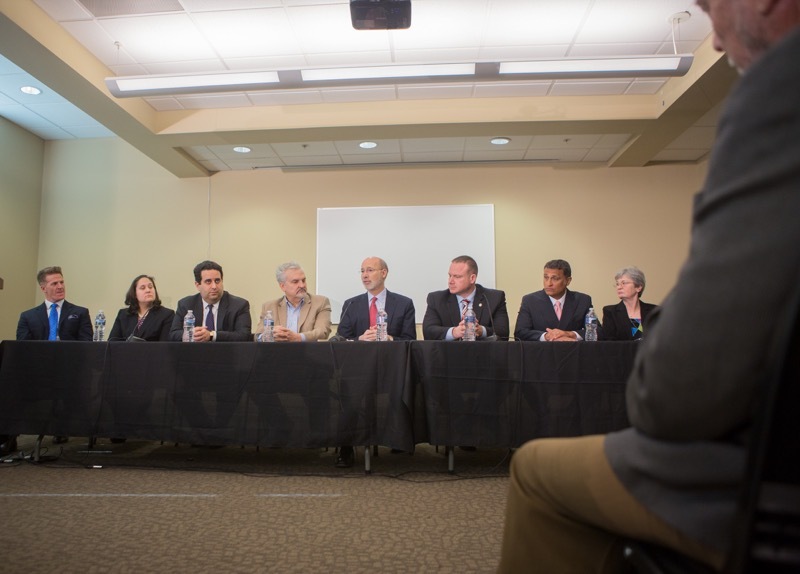 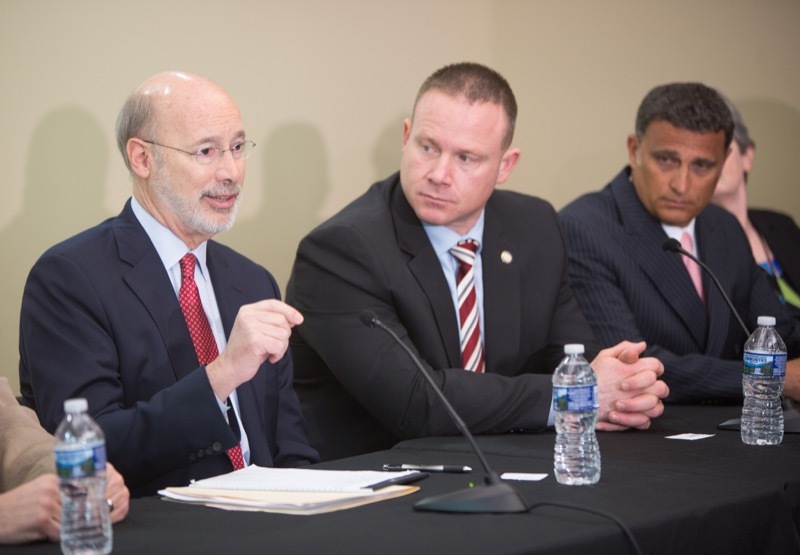 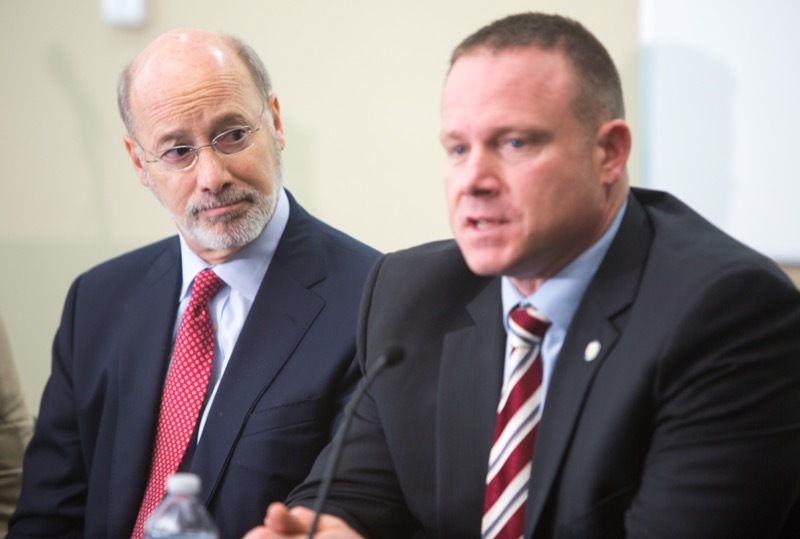 Today, Governor Wolf joined members of his cabinet, local and community leaders, medical professionals, and members of the law enforcement community at TW Ponessa & Associates Counseling Services Inc, a center of excellence, to discuss how his 2017-2018 budget is a better way forward and how it will help in the continuing battle against the opioid epidemic. 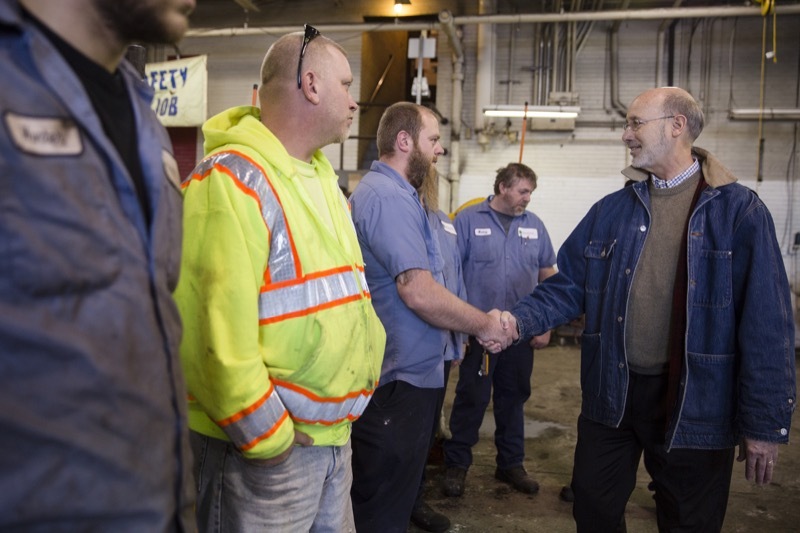 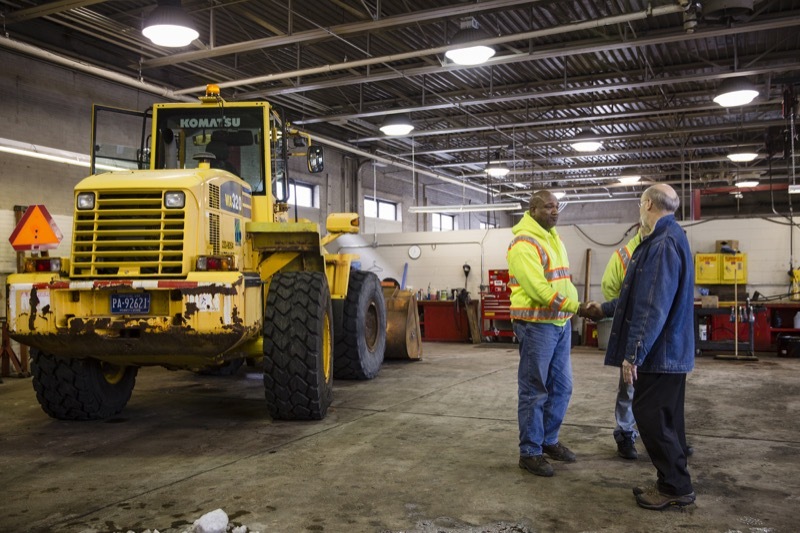 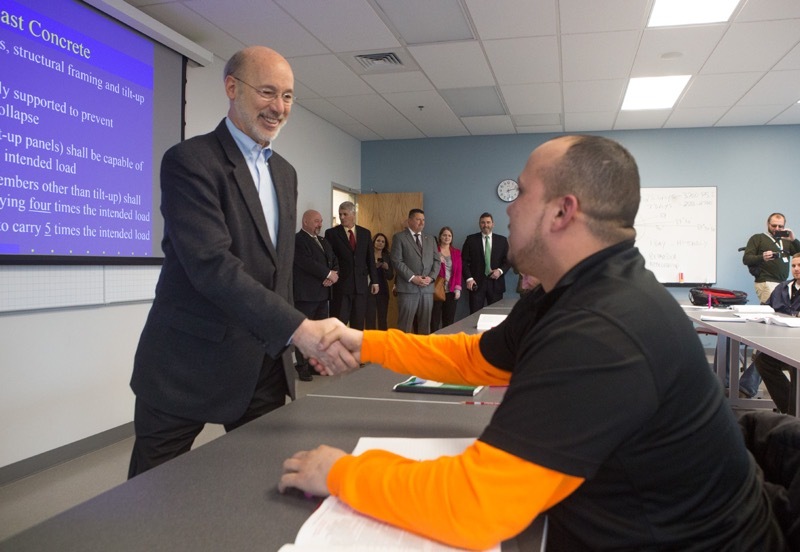 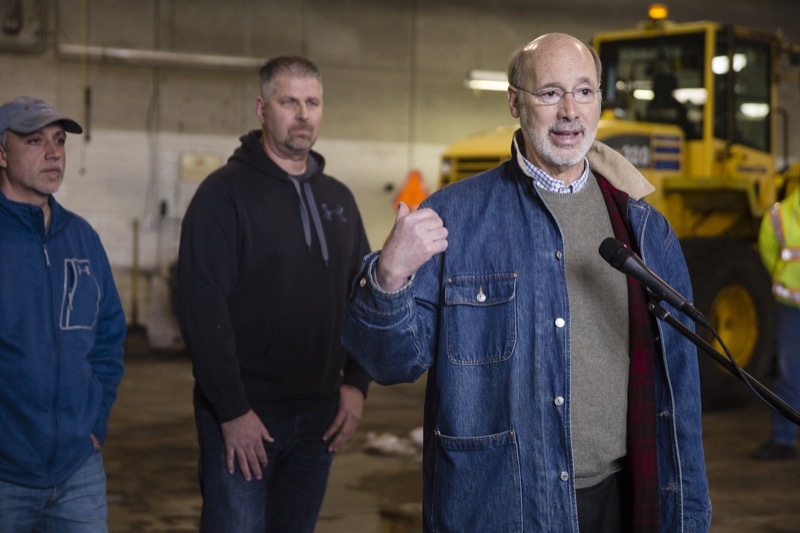 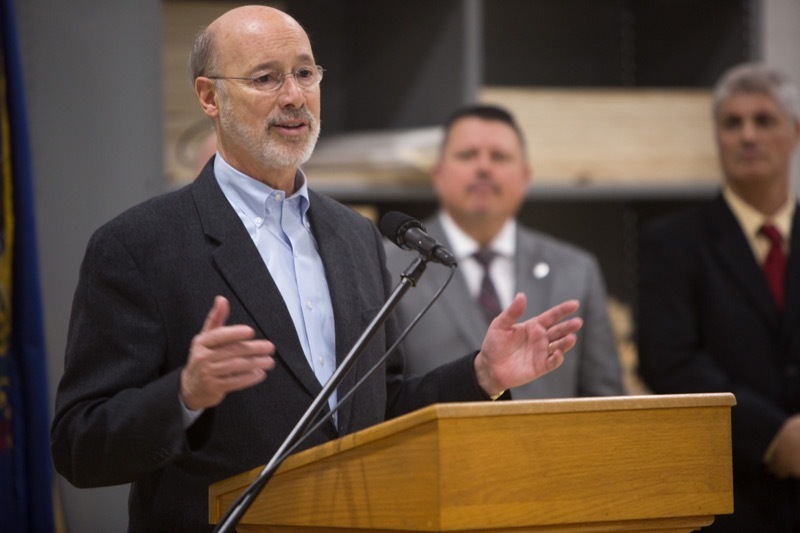 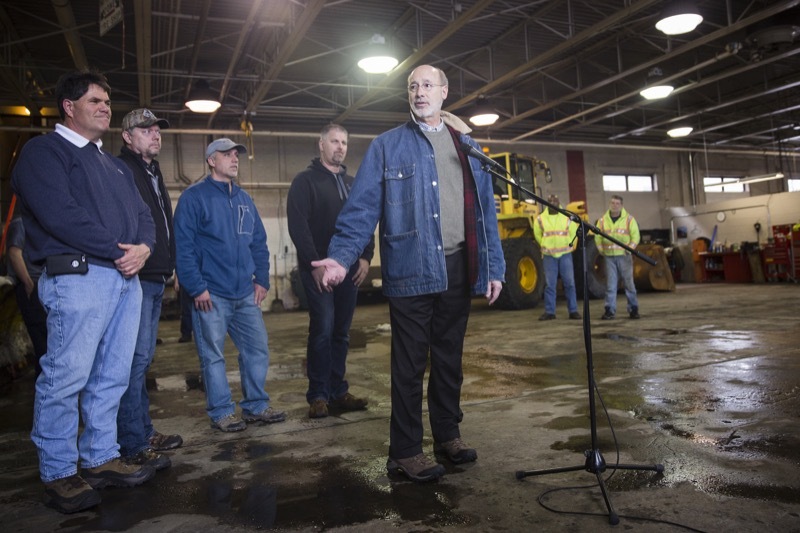 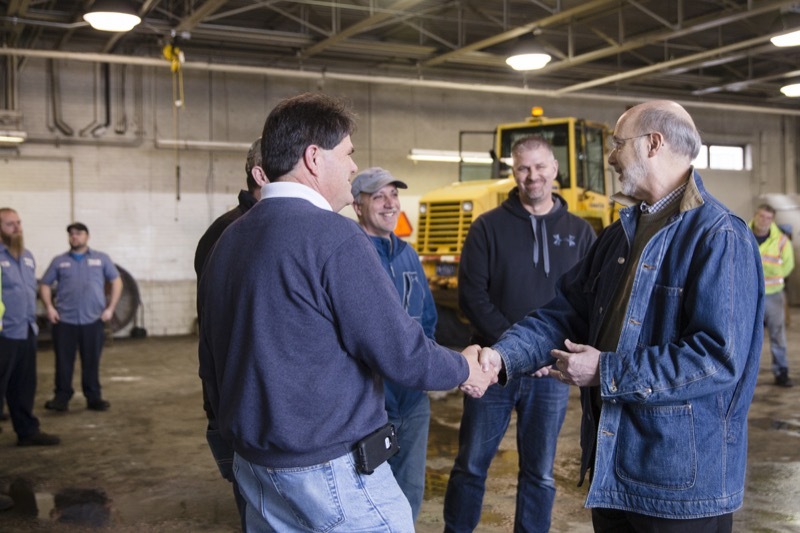 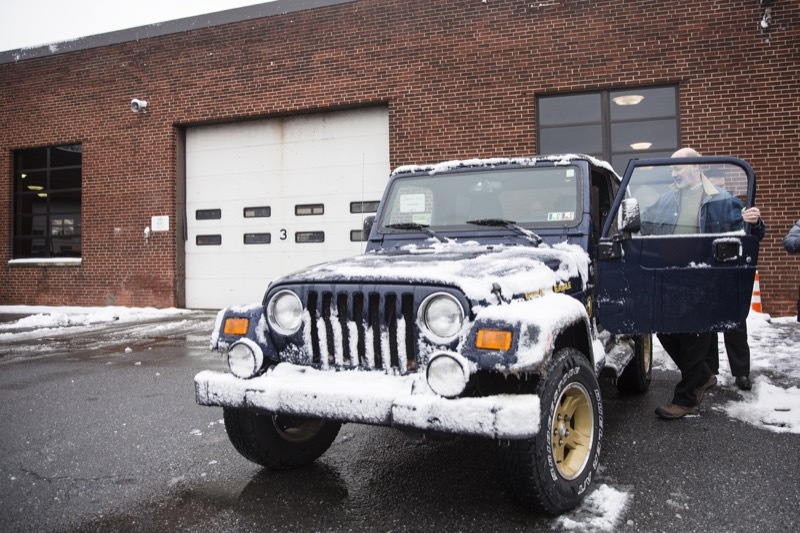 Harrisburg, PA - Governor Tom Wolf will visited PennDOT Engineering District 8 today to thank employees who worked to keep roads safe and clear during the winter storm. 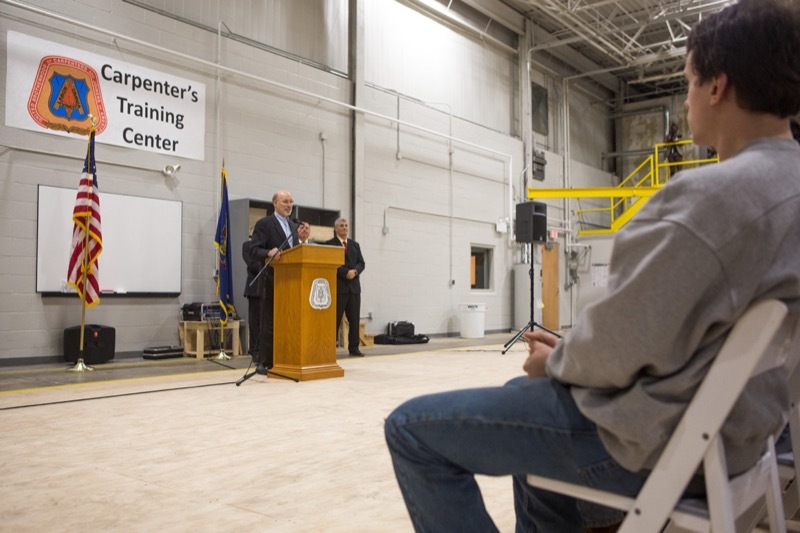 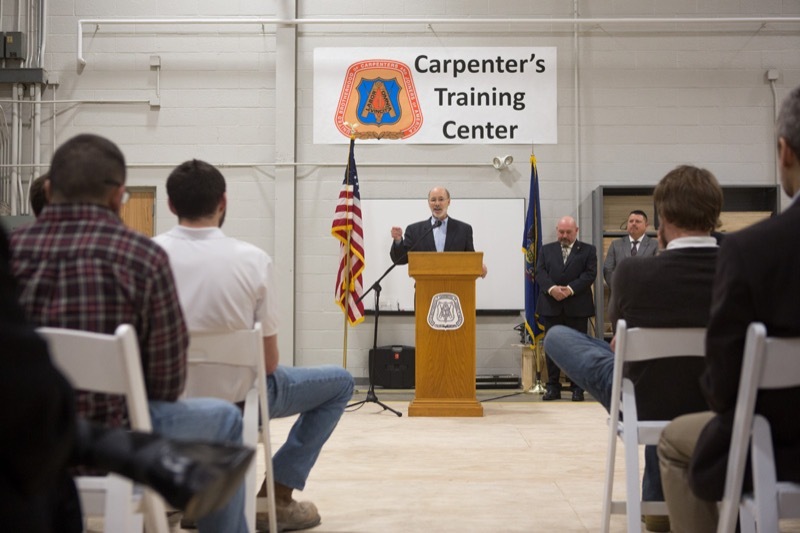 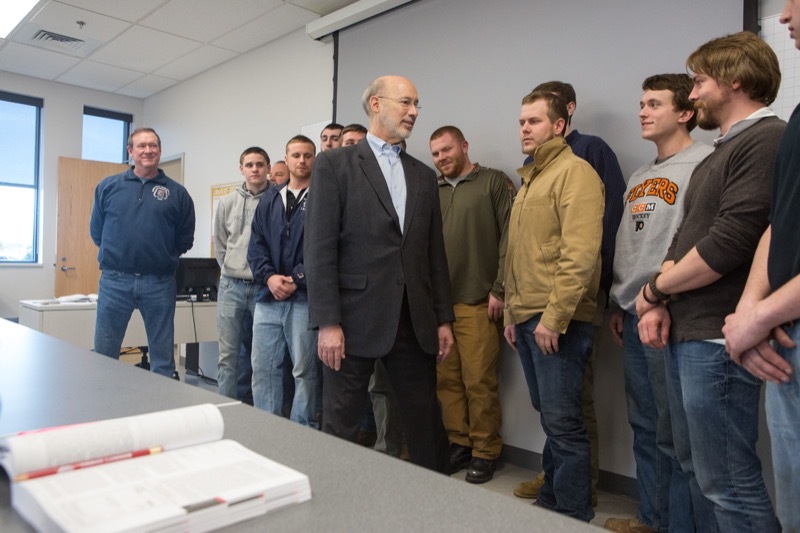 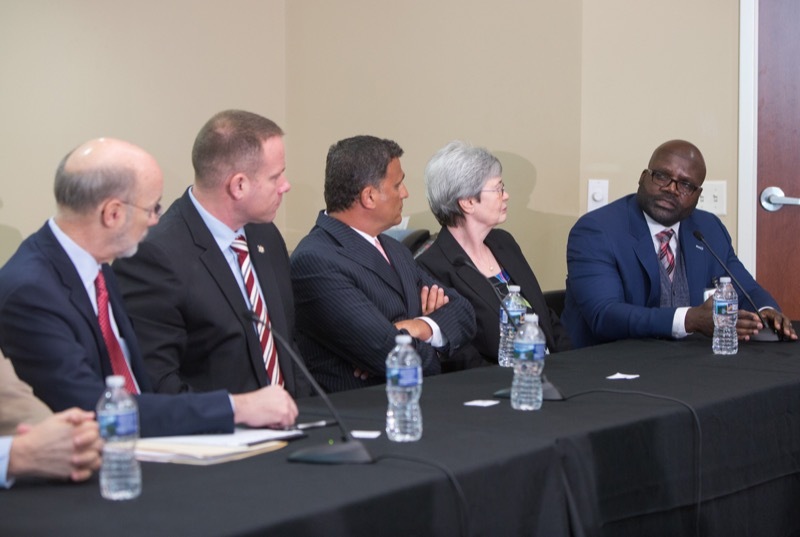 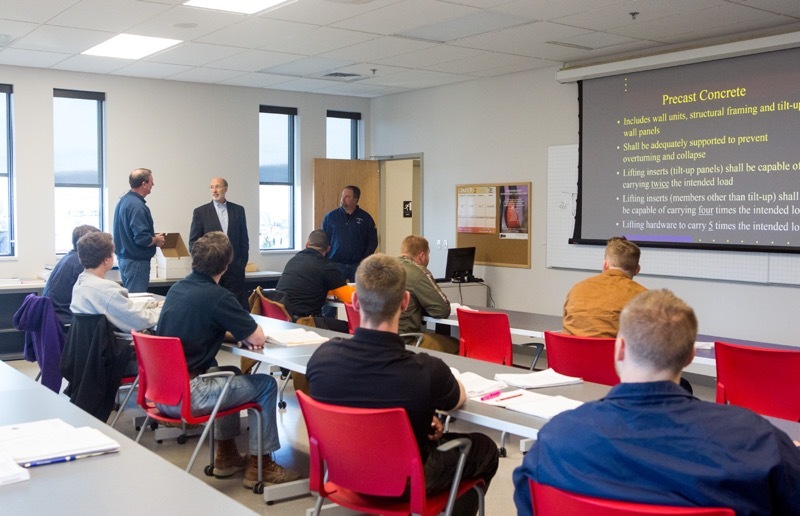 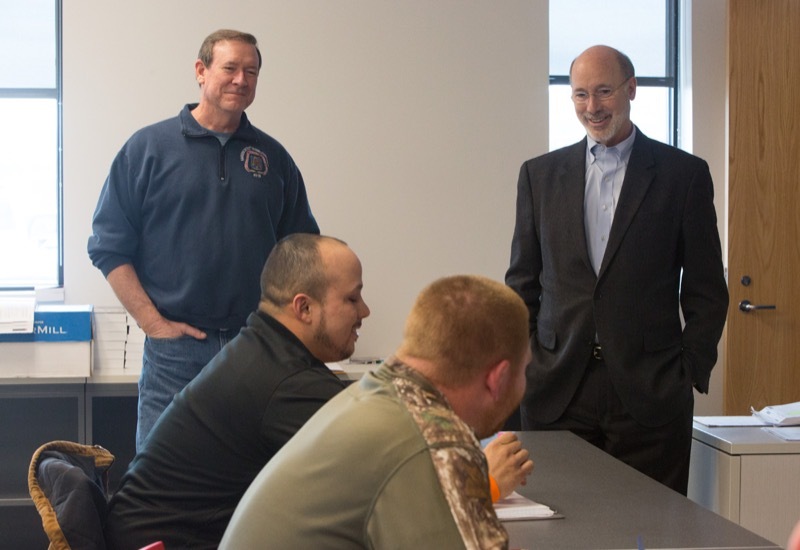 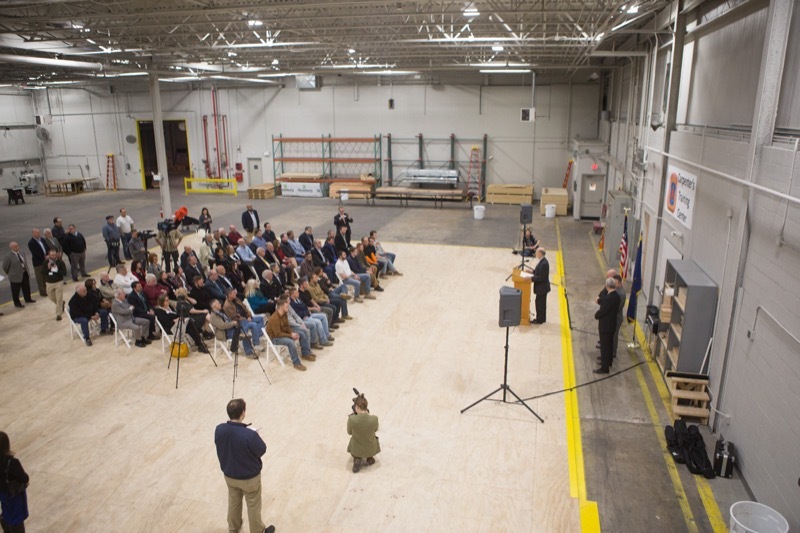 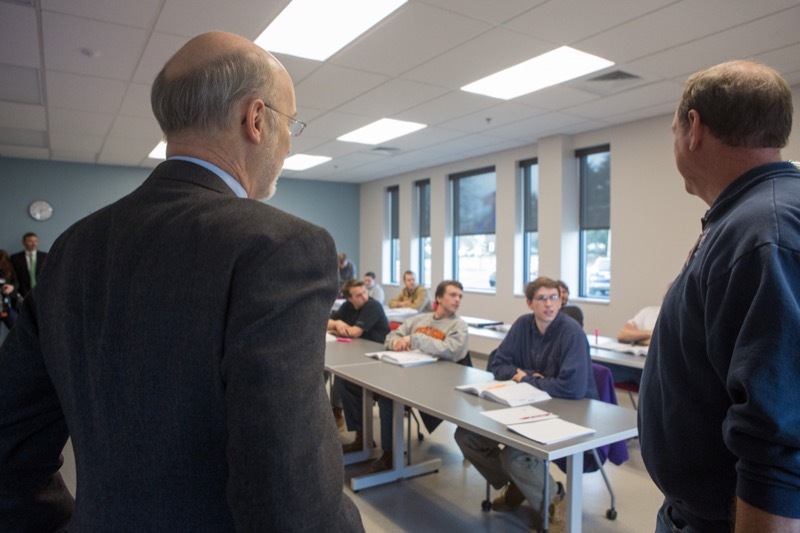 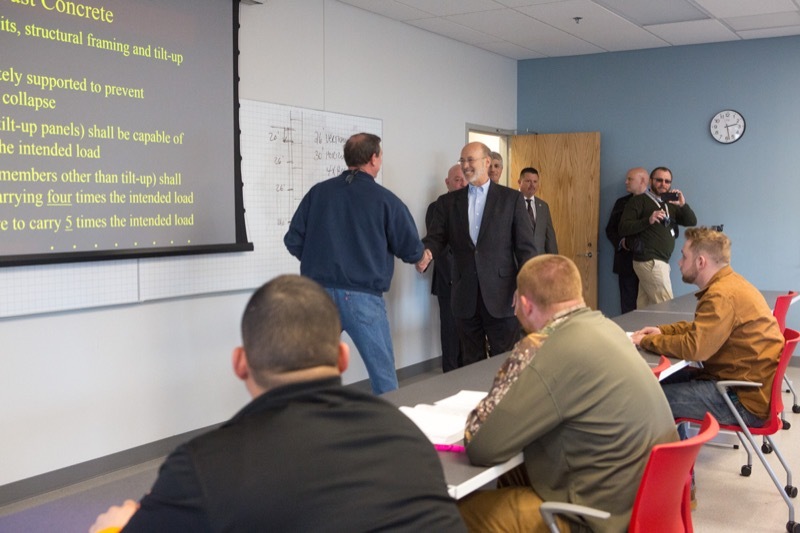 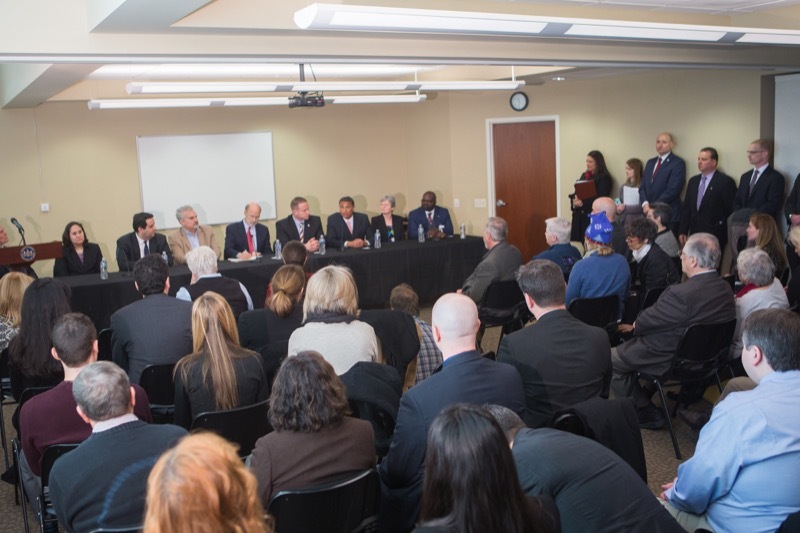 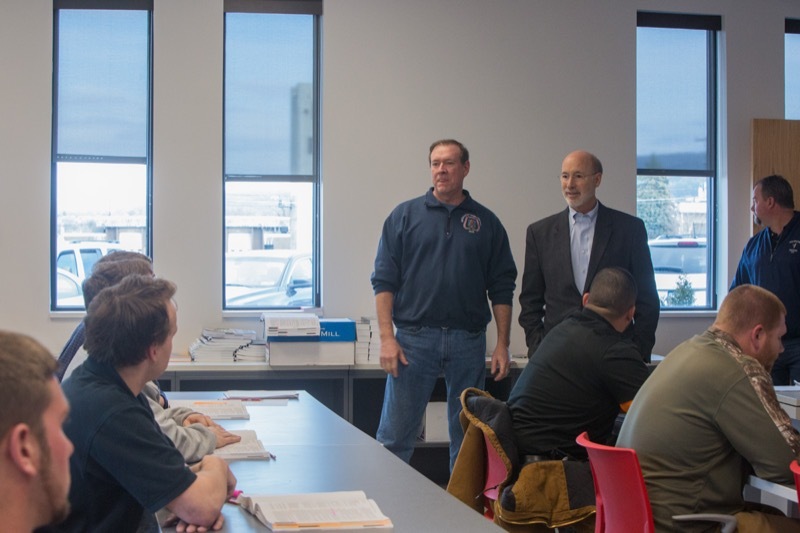 Today, Governor Tom Wolf joined Department of Community and Economic Development Secretary Dennis Davin, and local business and community leaders at the Carpenters Apprentice School in Allentown to discuss the different approach he is taking to Pennsylvania's budget and outline his plans to improve workforce training and create jobs. 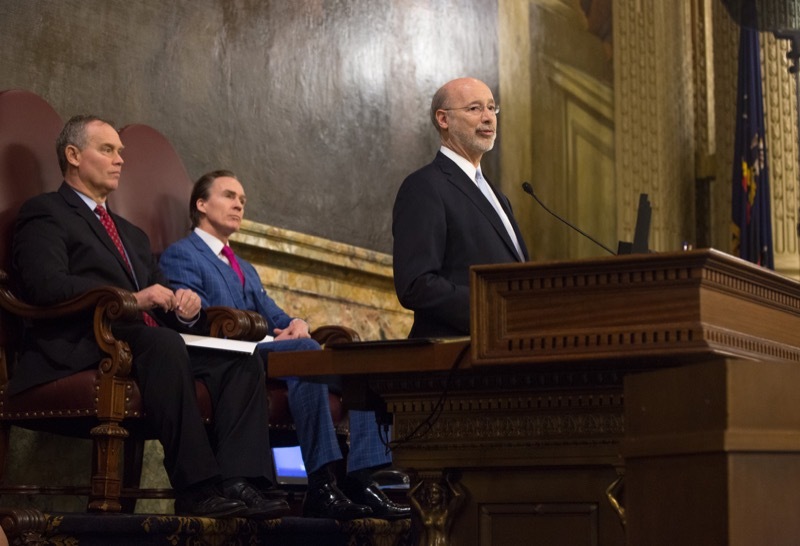 Today, Governor Tom Wolf outlined a different approach for Pennsylvania's budget by tackling a $3 billion deficit without raising taxes on families, while protecting schools, seniors, and resources used to battle the opioid epidemic, in addition to creating new tools for manufacturing and small businesses. 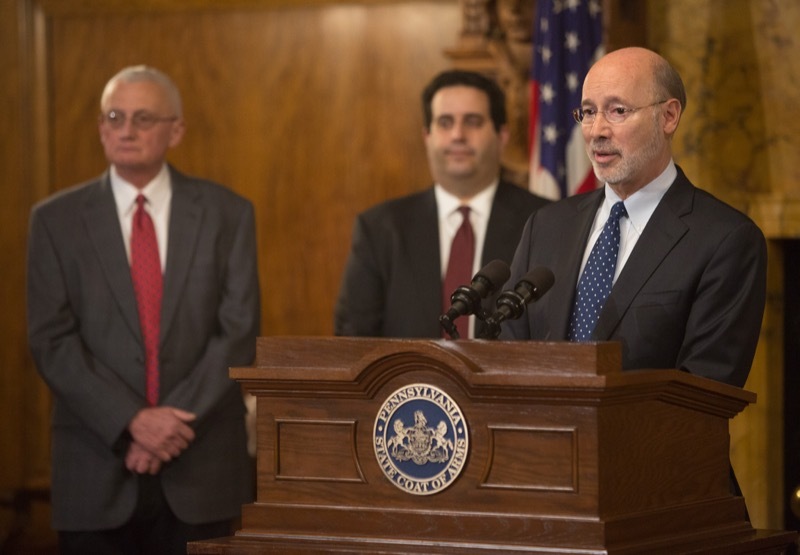 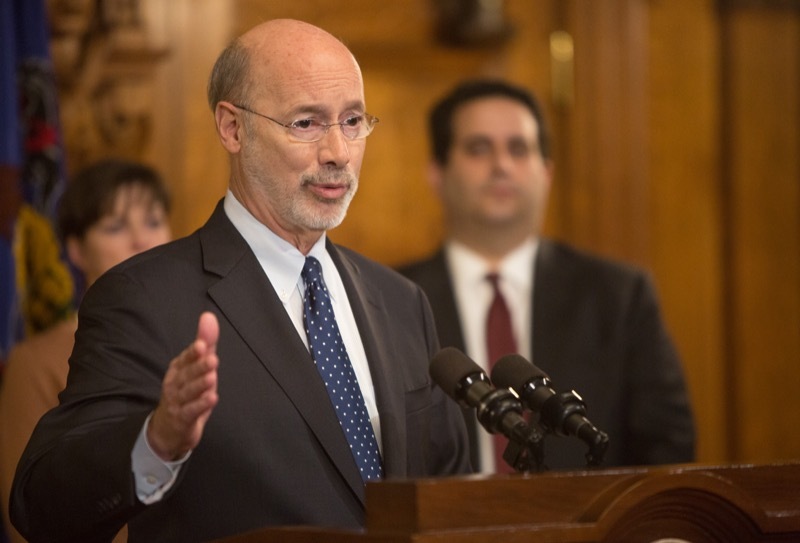 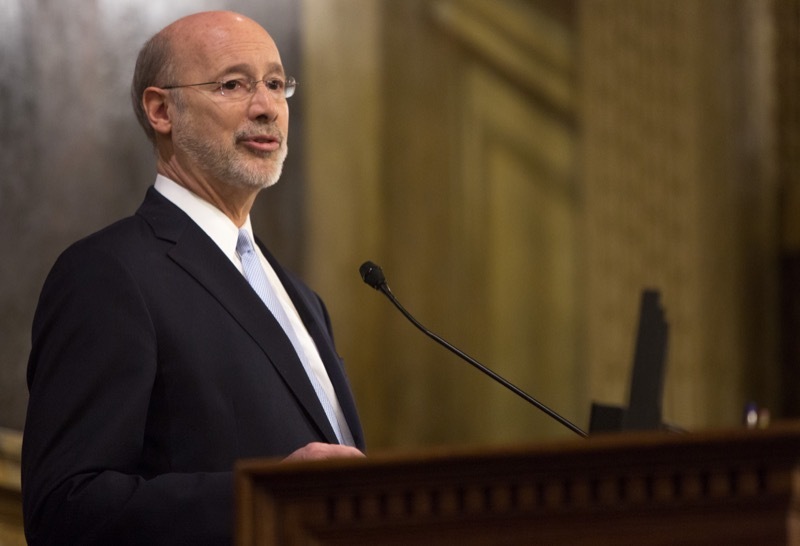 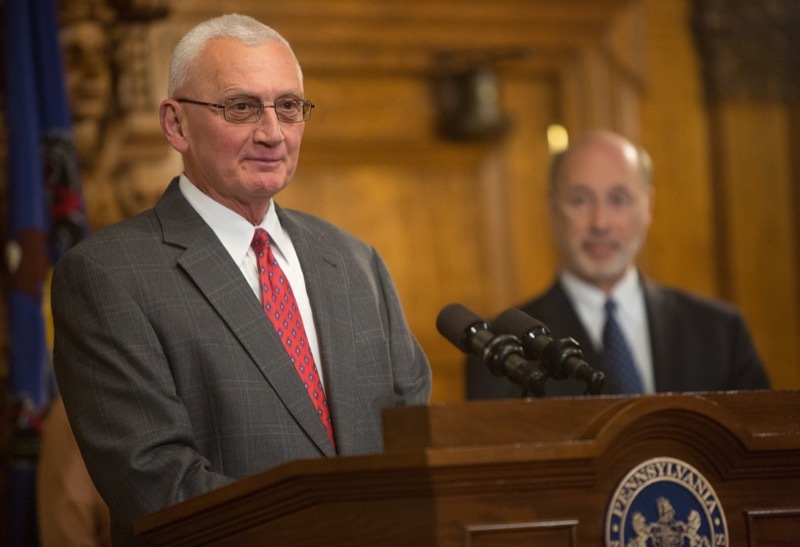 Governor Tom Wolf outlined a different approach for Pennsylvania's budget by tackling a $3 billion deficit without raising taxes on families, while protecting schools, seniors, and resources used to battle the opioid epidemic, in addition to creating new tools for manufacturing and small businesses. 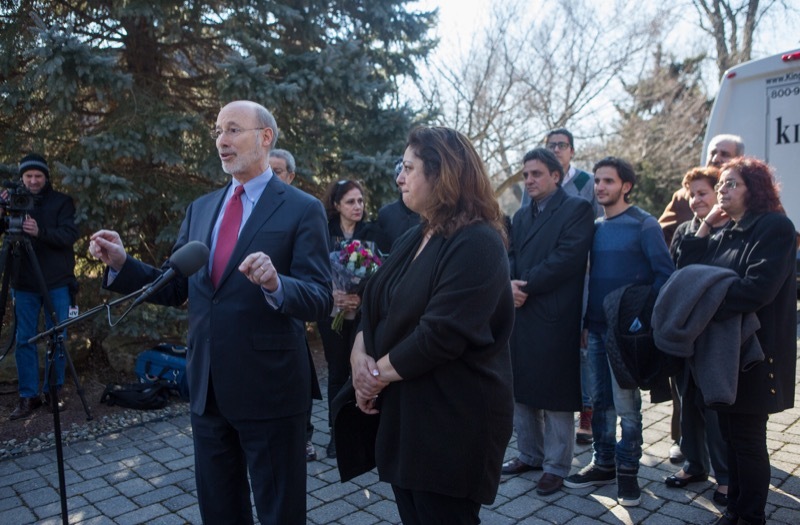 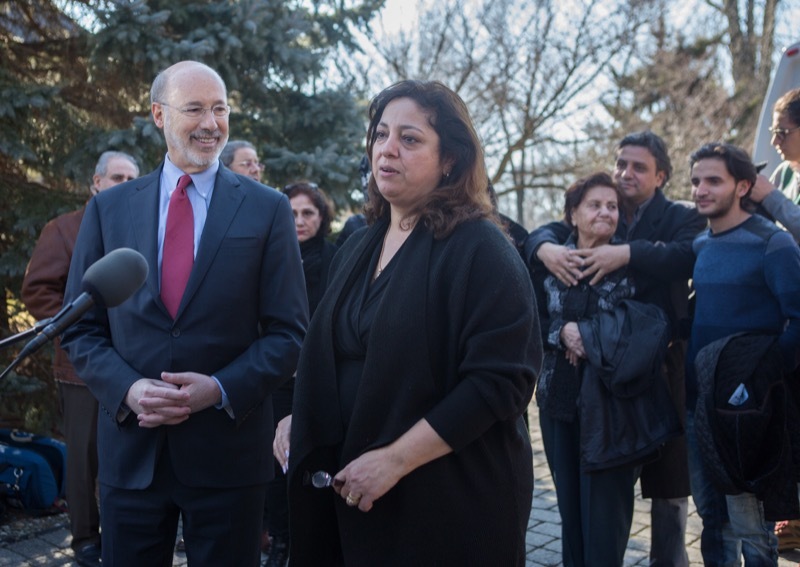 Today, Governor Wolf was in Allentown to greet members of the Assali family as they are reunited with their family after being denied entry into the United States following confusion about the president's executive order. 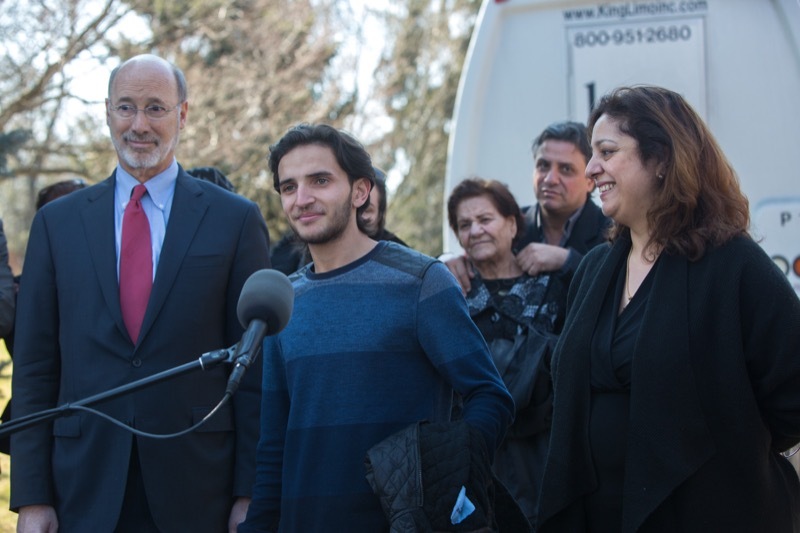 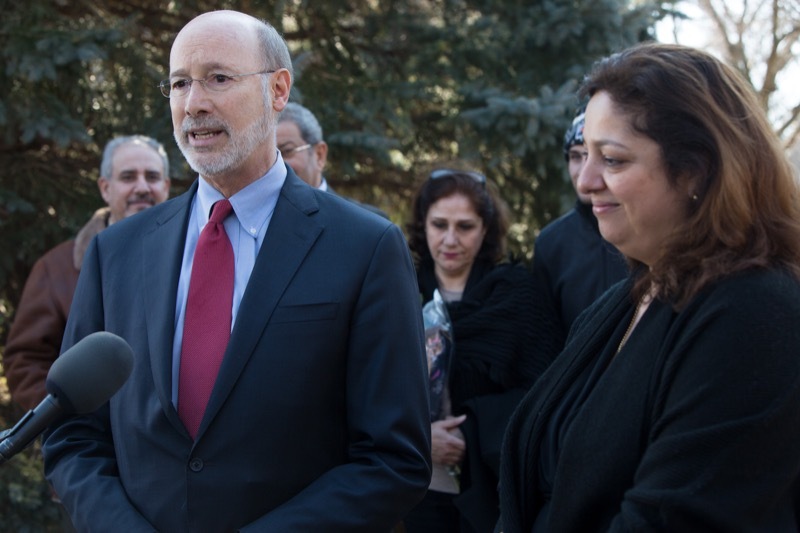 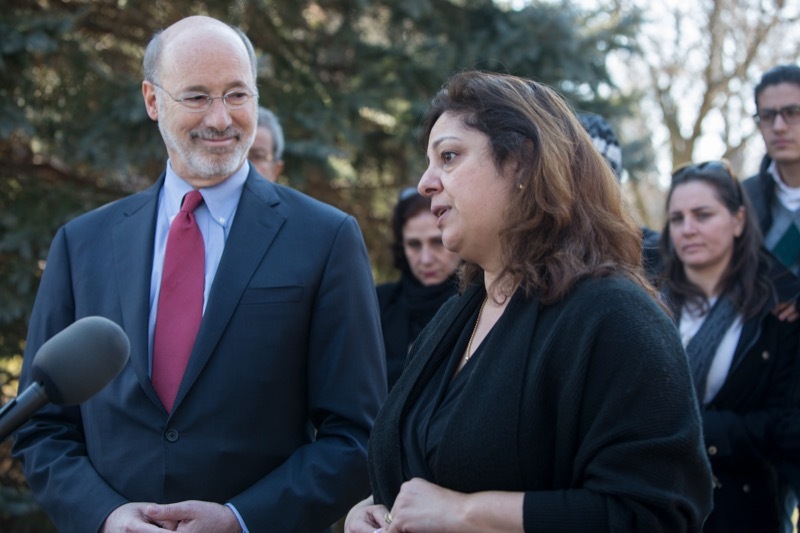 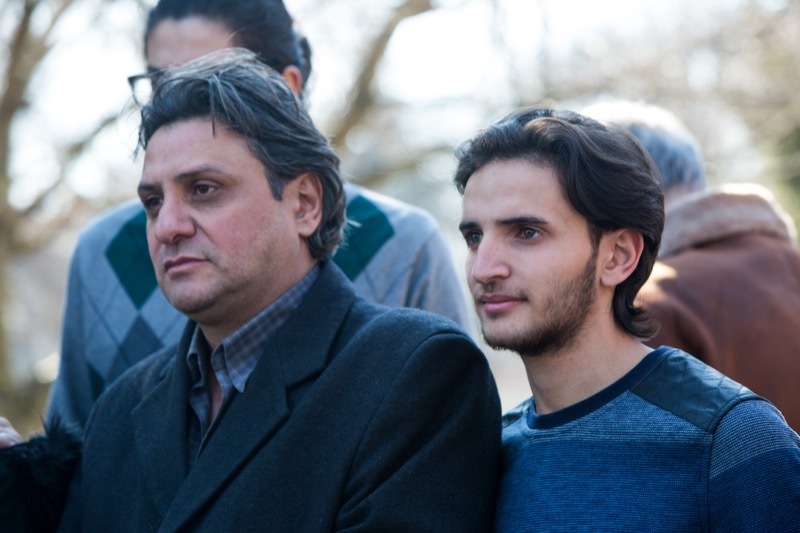 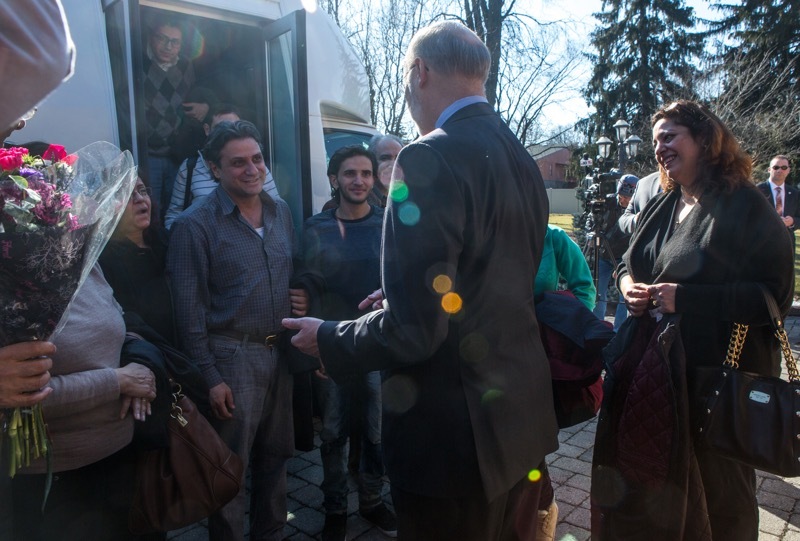 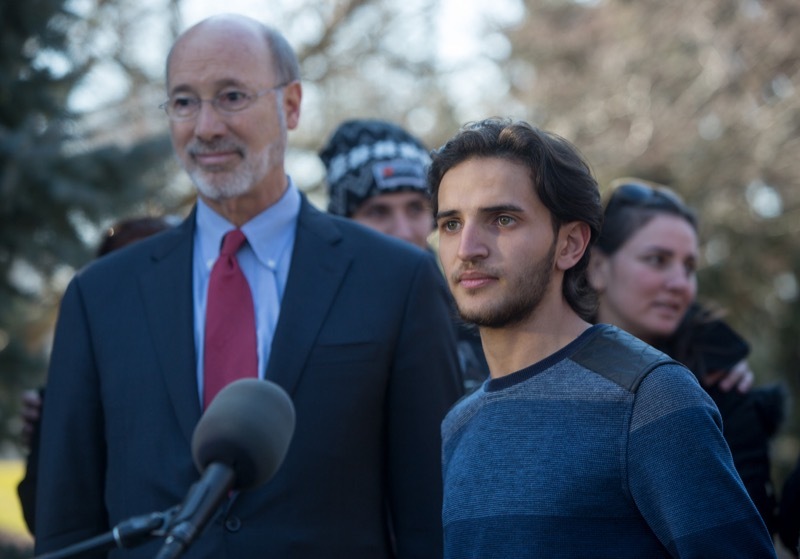 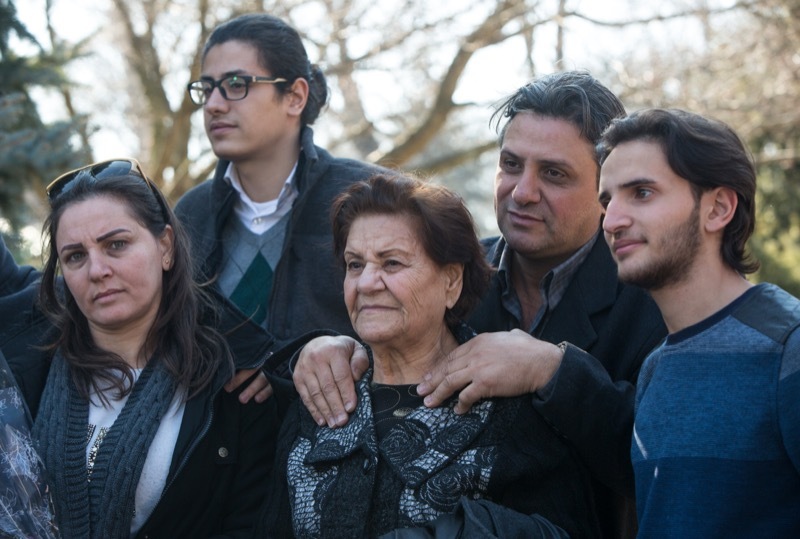 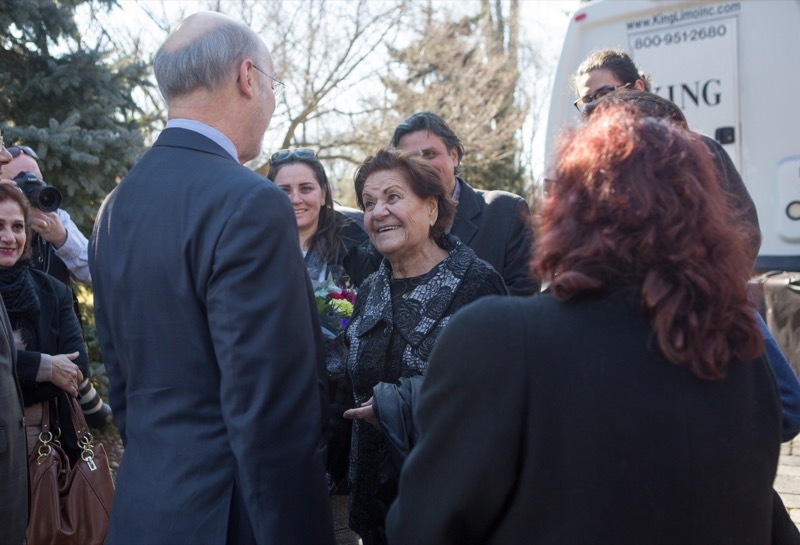 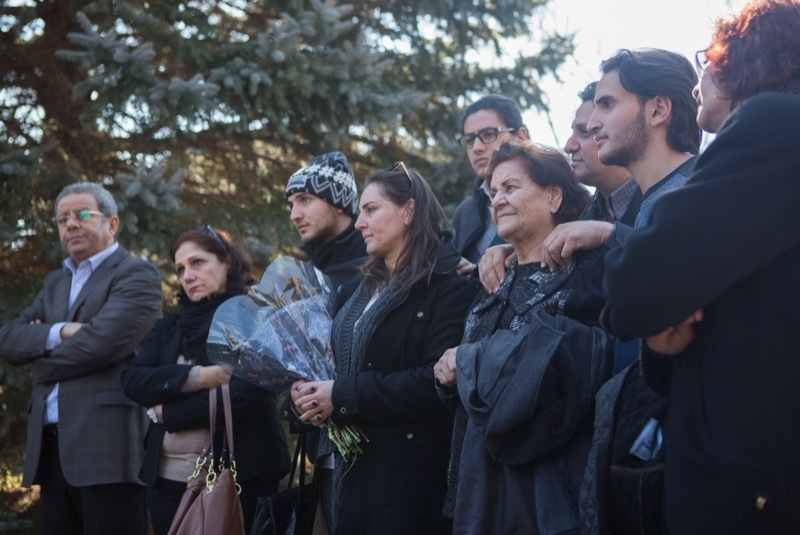 Governor Wolf was in Allentown to greet members of the Assali family as they are reunited with their family after being denied entry into the United States following confusion about the president's executive order. 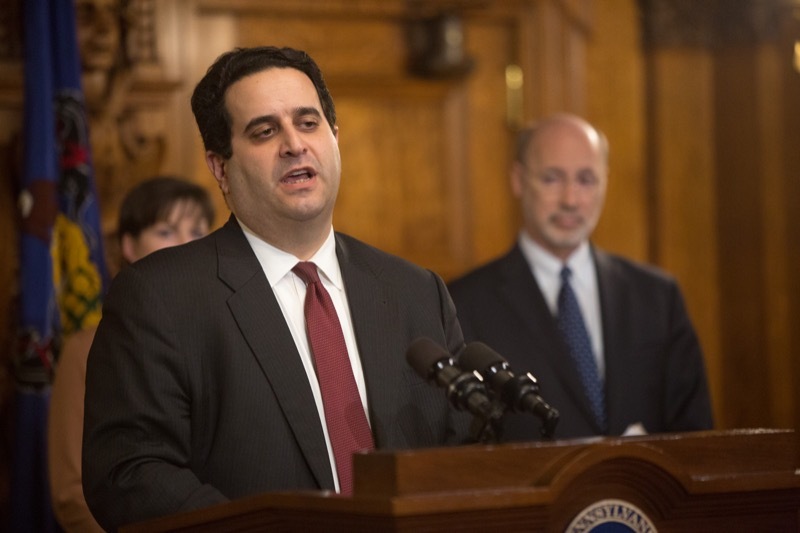 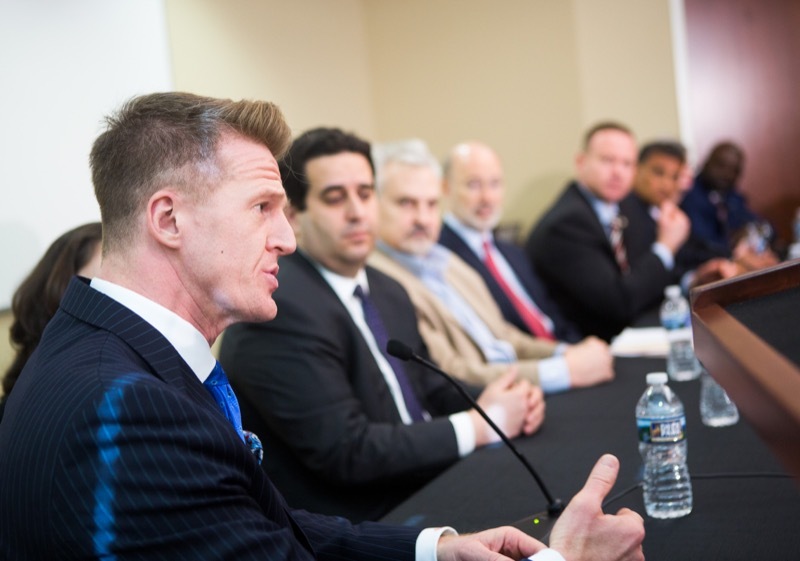 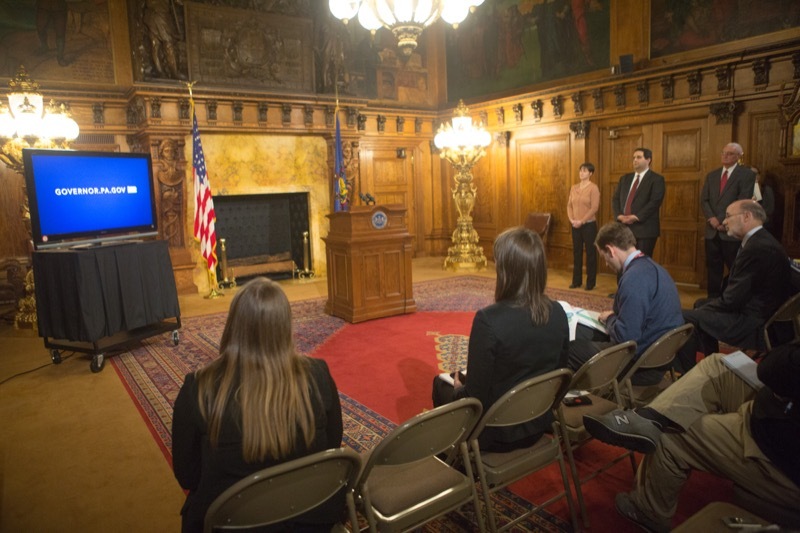 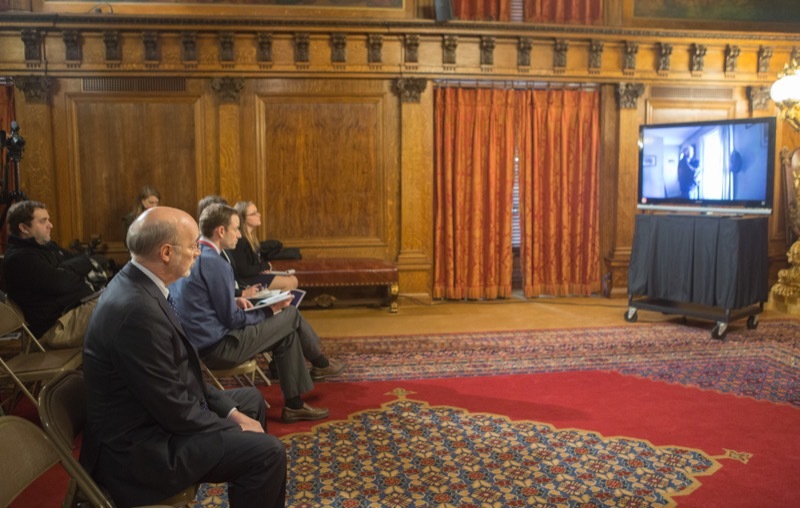 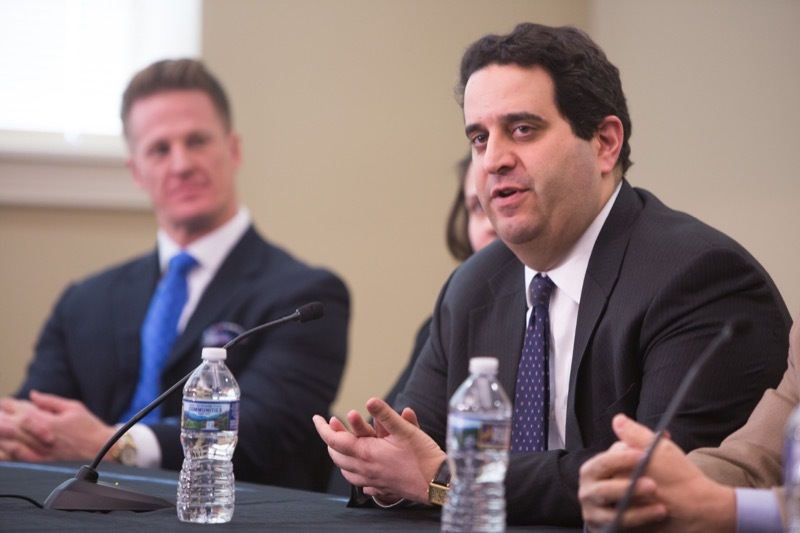 - Pennsylvania Treasurer Joe Torsella today unveiled a new, groundbreaking transparency website feature that for the first time allows Pennsylvania taxpayers to access up-to-date information on the state's General Fund, which serves as the state's checkbook. 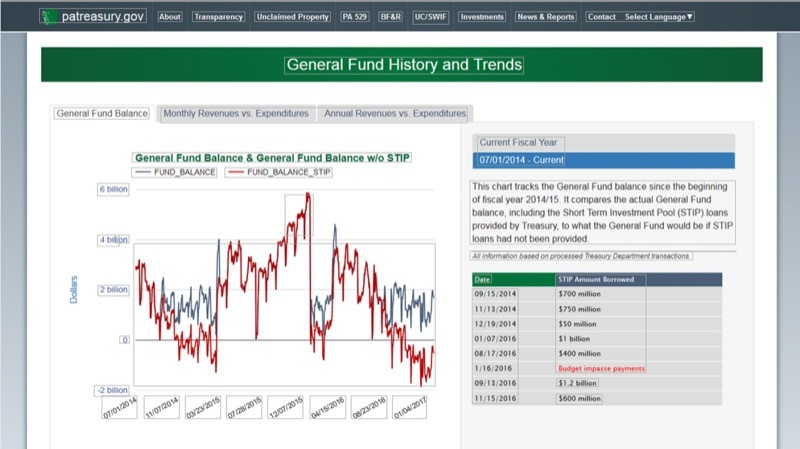 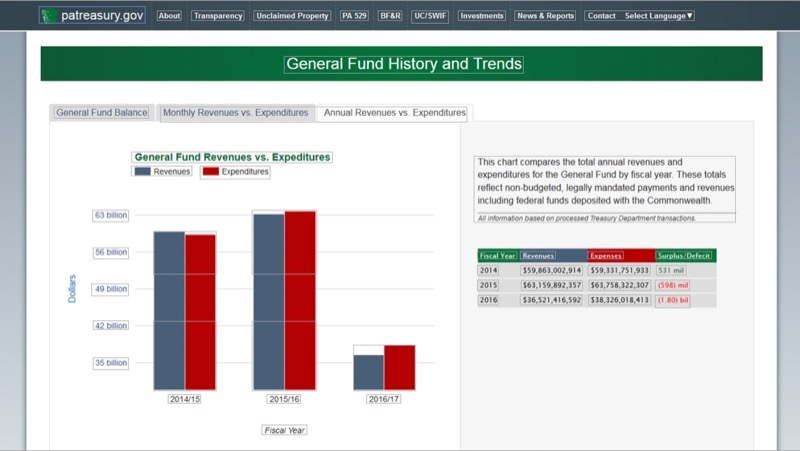 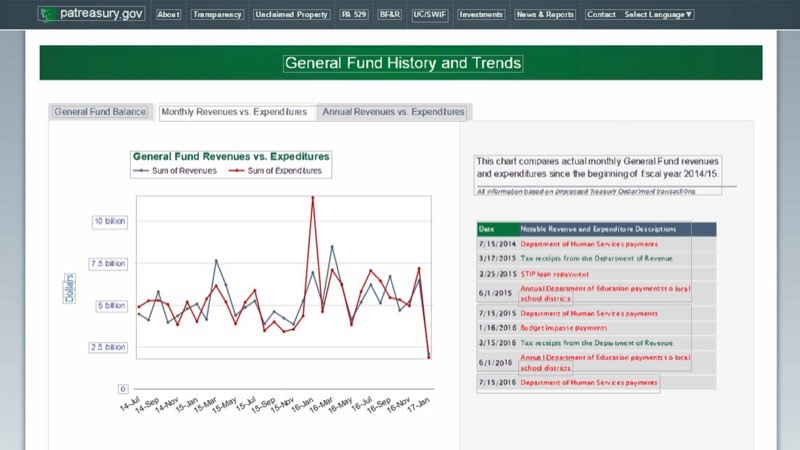 The portal (www.patreasury.gov/transparency) tracks the current balance of the General Fund, compares monthly and annual revenues and expenditures and illustrates how Treasury's line of credit prevents the fund from falling into the negative. 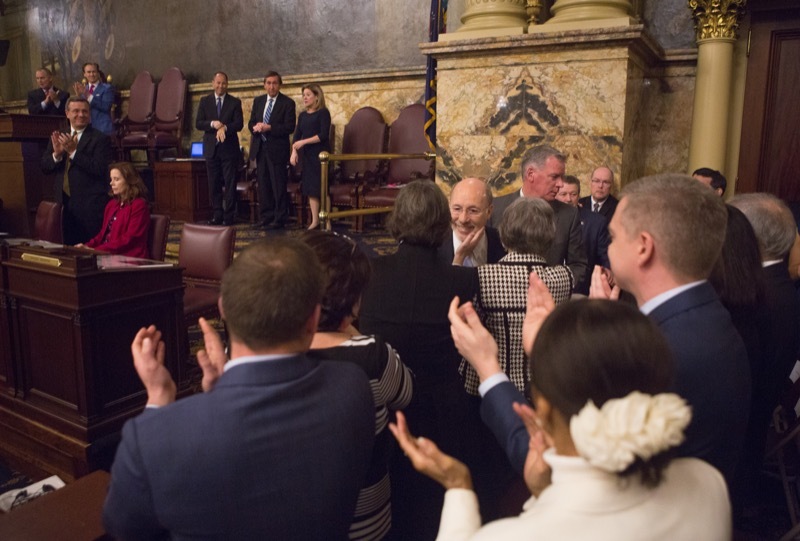 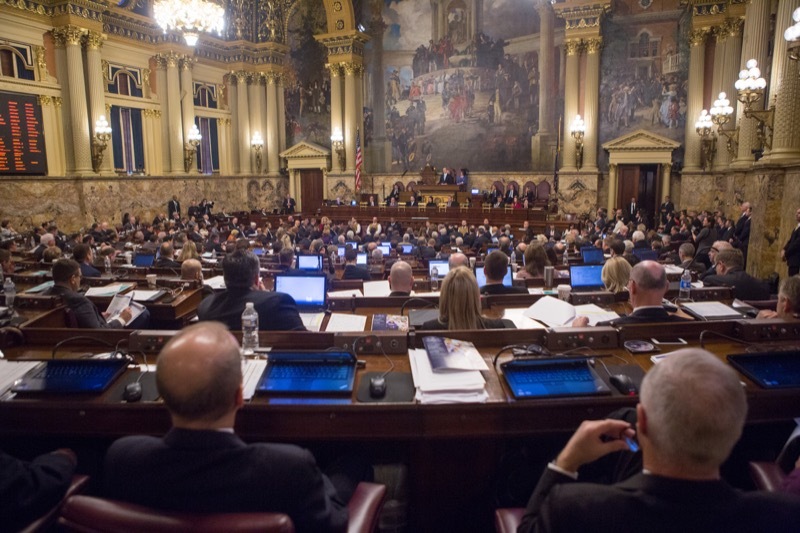 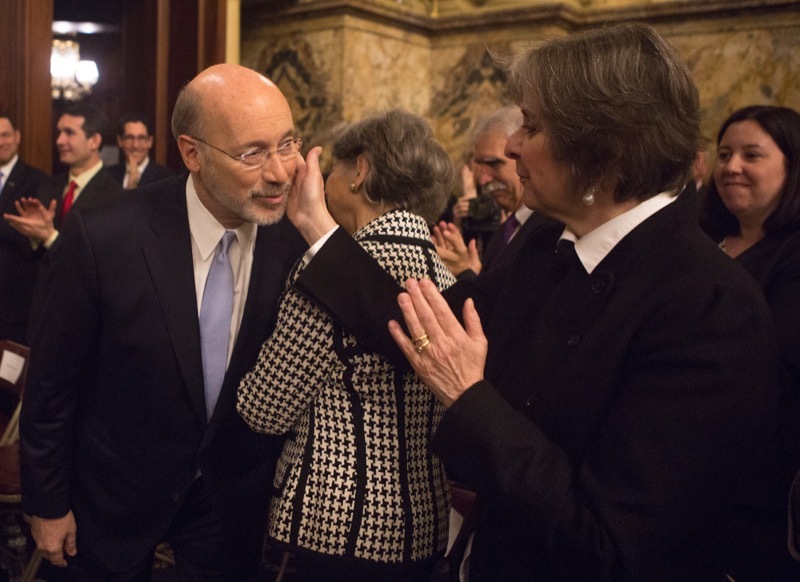 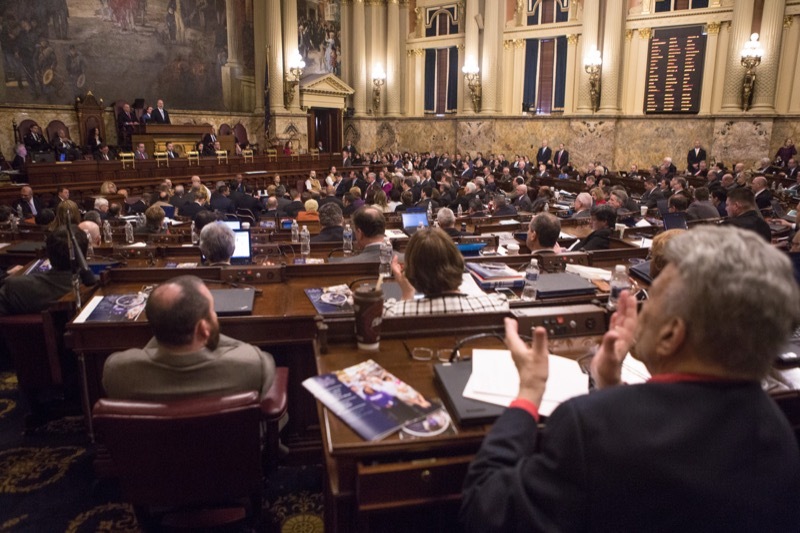 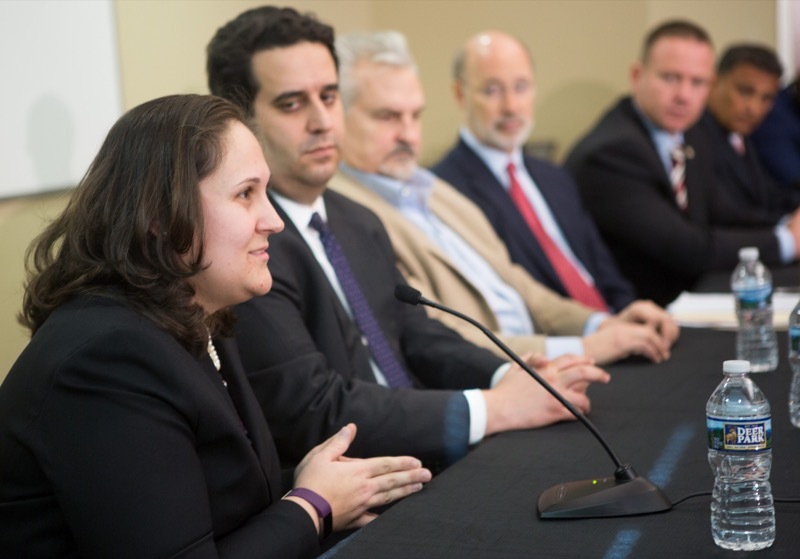 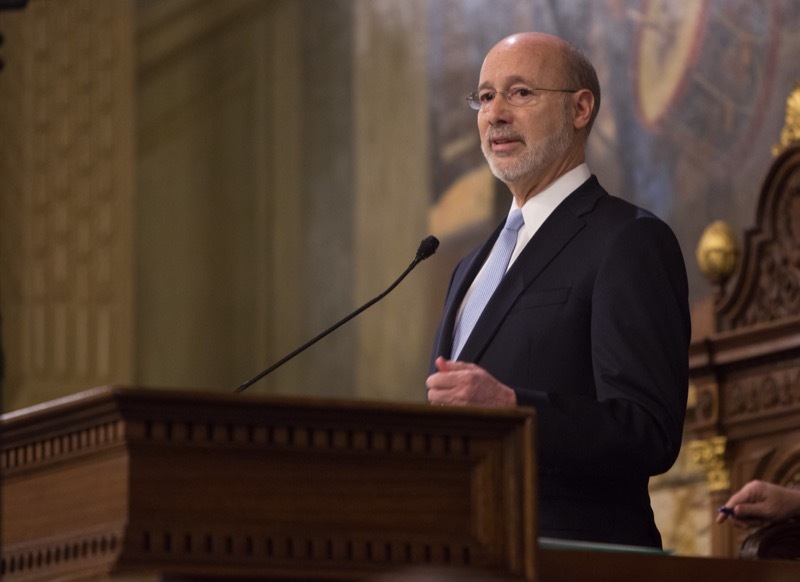 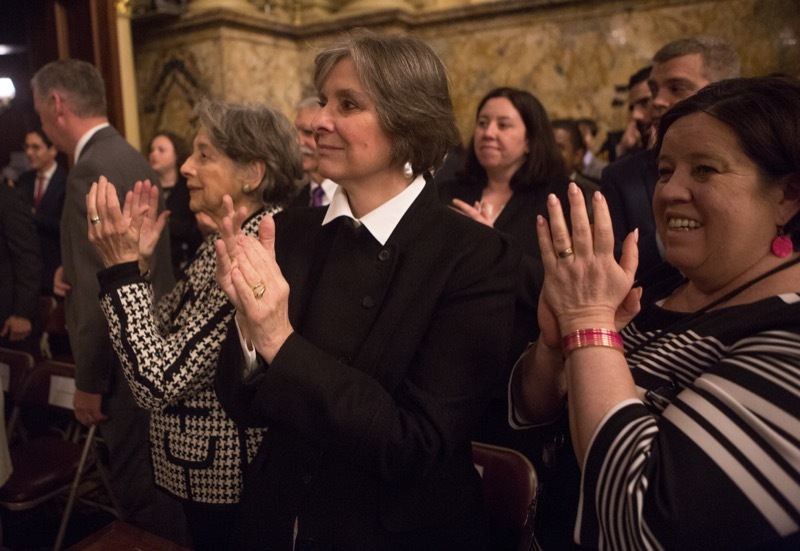 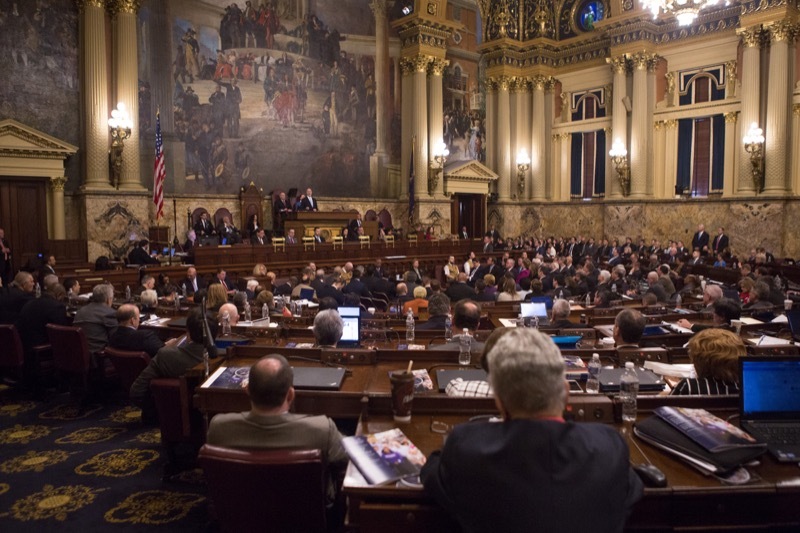 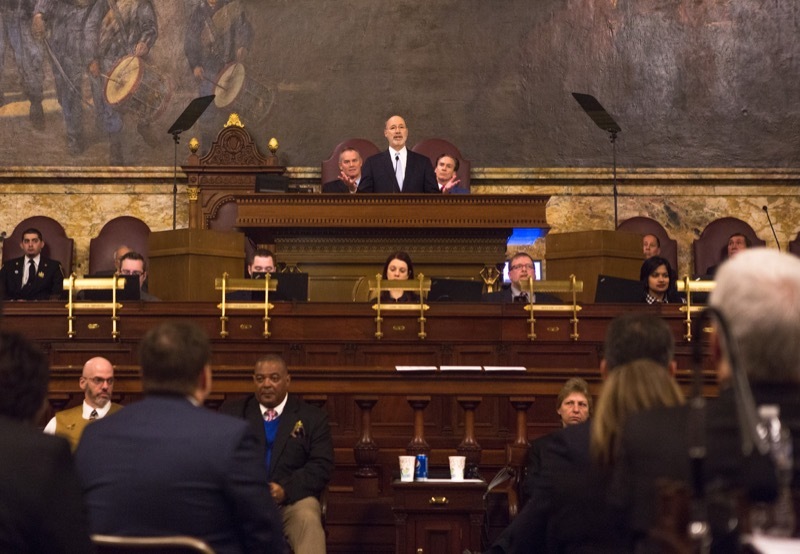 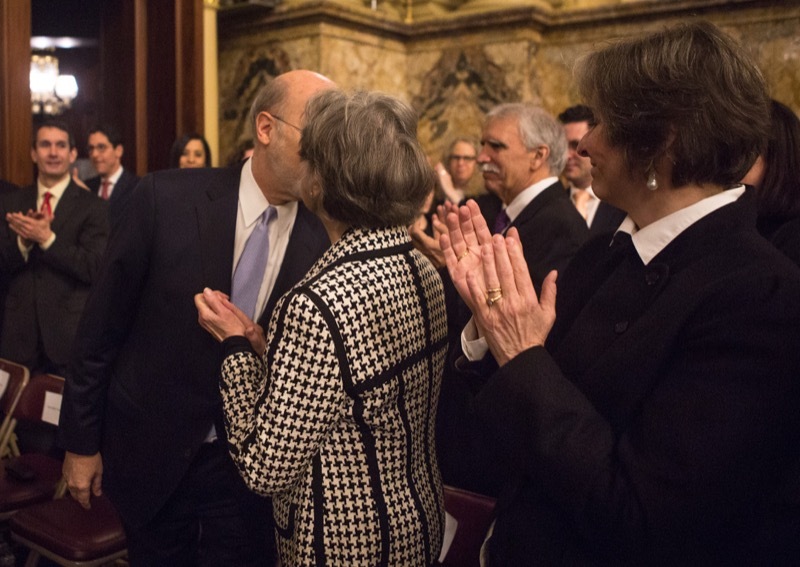 In February of 2015, Governor Wolf expanded Medicaid to ensure that Pennsylvanians can receive affordable, straightforward, accessible healthcare without unnecessary delays and confusion. 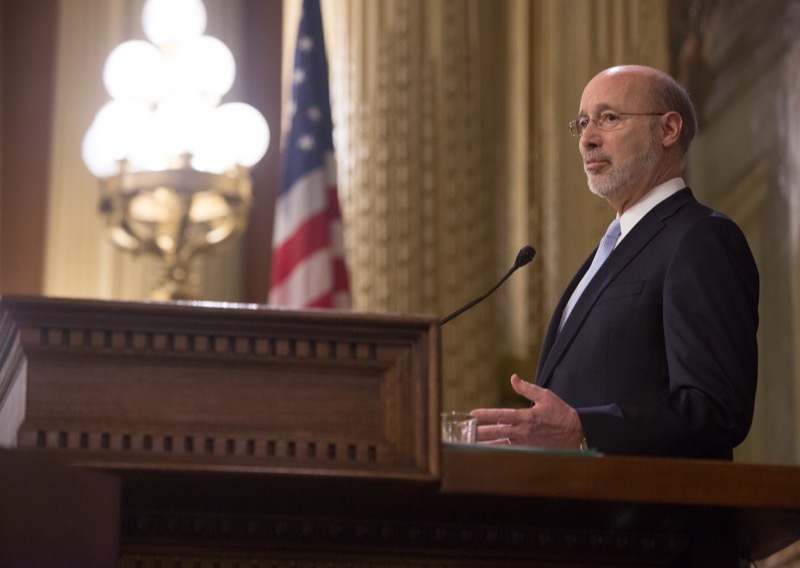 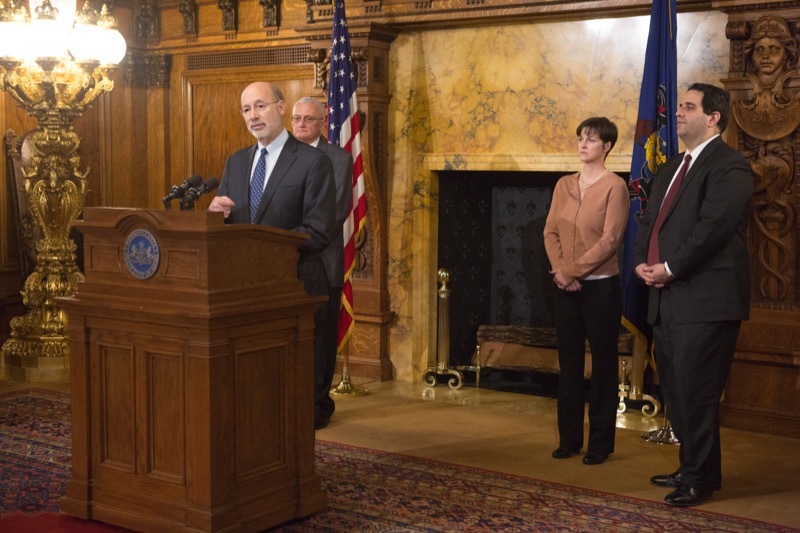 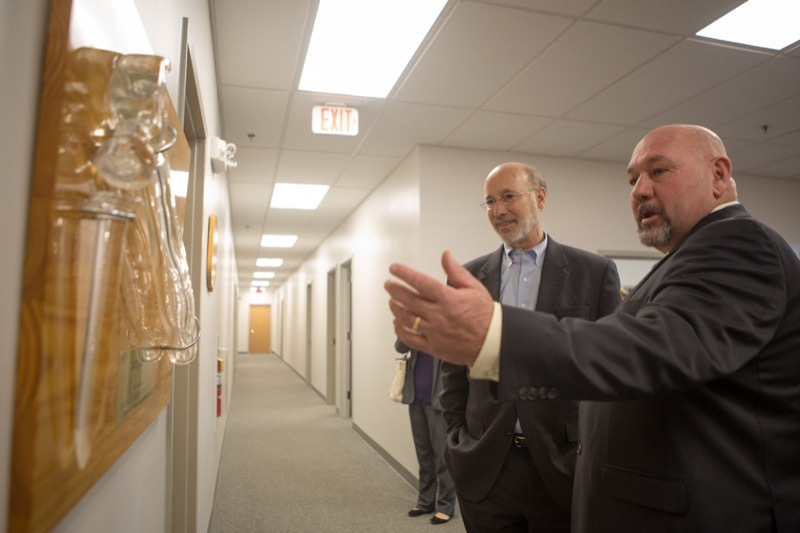 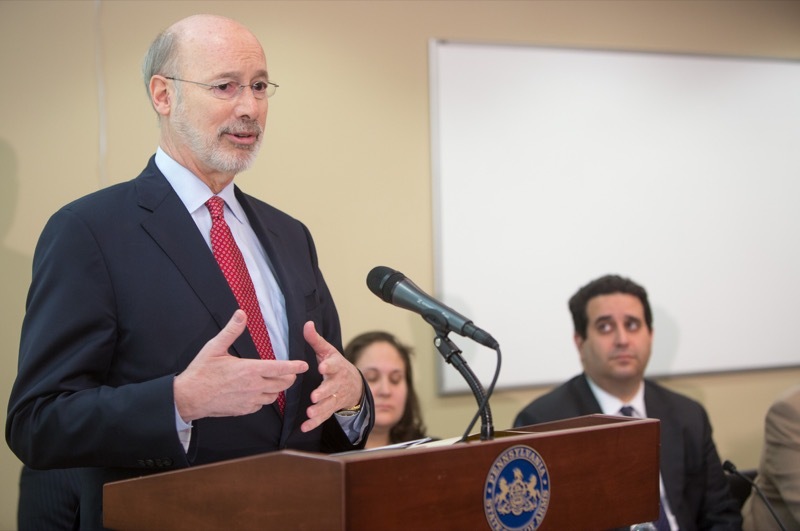 Today, Governor Wolf announced that over 700,000 Pennsylvanians have enrolled in HealthChoices, Pennsylvania's mandatory managed care Medicaid program, since expansion occurred two years ago. 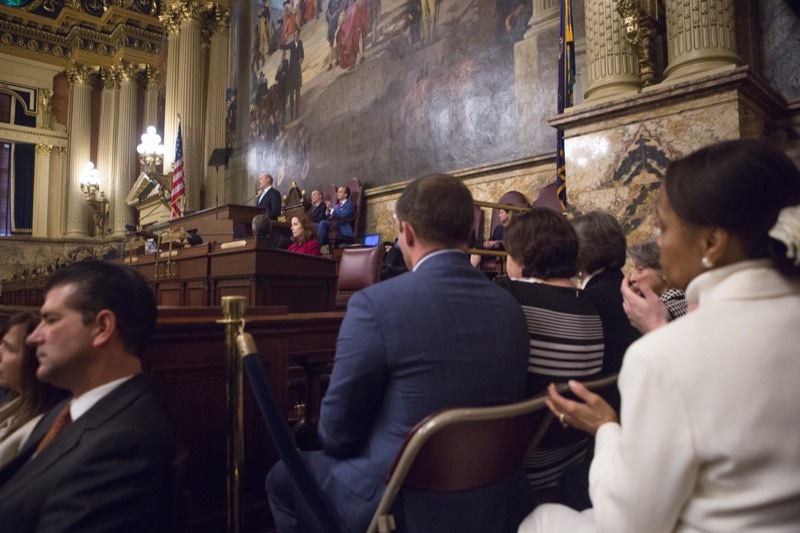 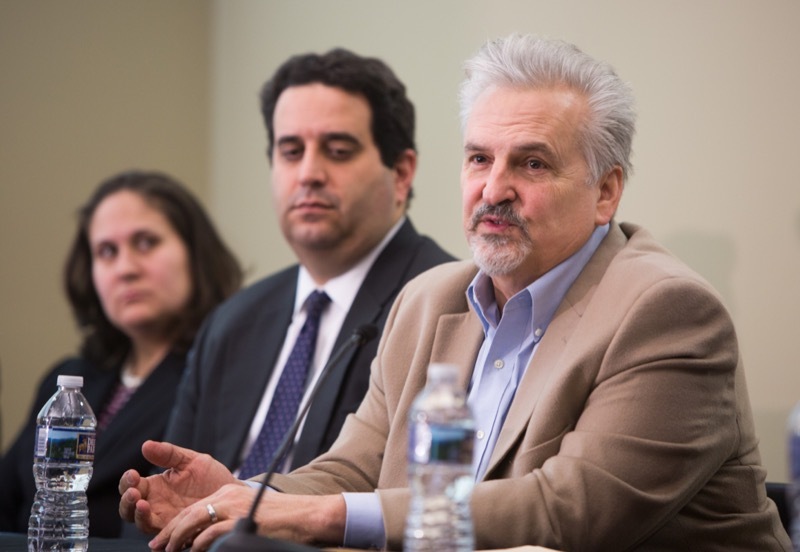 U.S. Census data shows that the commonwealth's uninsured rate has dropped from 10.2 percent in 2010 to 6.4 percent in 2015. 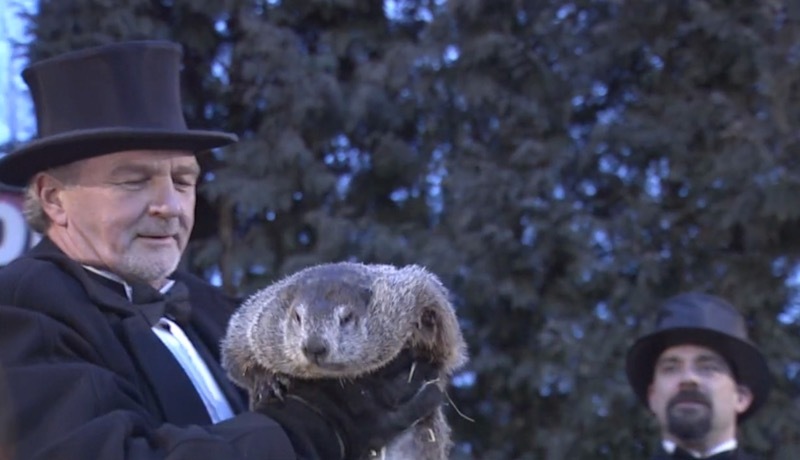 - Pennsylvania's world-famous groundhog, Punxsutawney Phil, predicted six more weeks of winter after seeing his shadow this morning in the Pennsylvania Wilds. 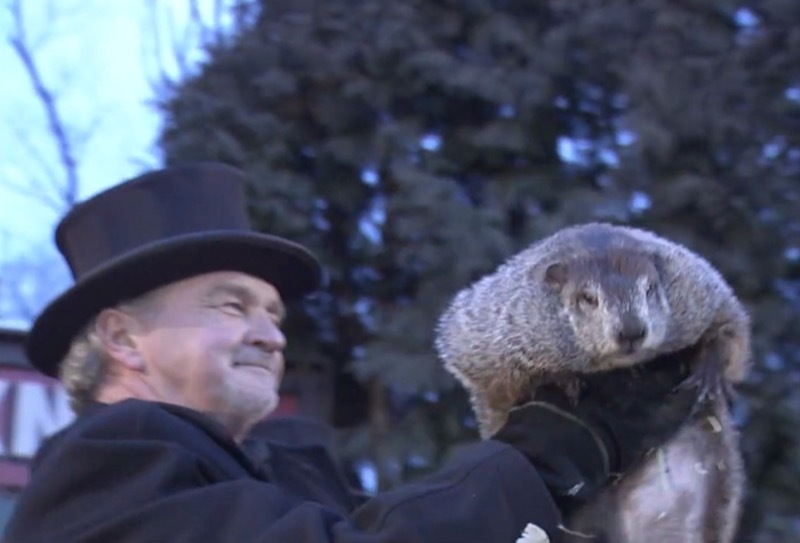 Thousands of fans watched as Phil made his highlyanticipated weather prognostication, commemorating 131 years of Pennsylvania's unique Groundhog Day tradition.